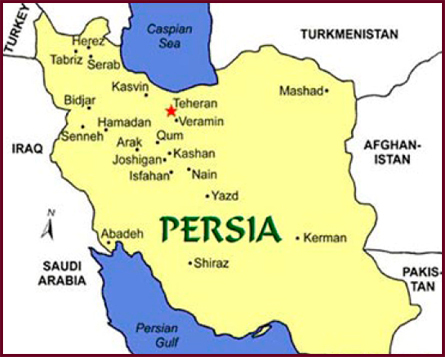 You are here: Home Persian Rug History Authentic Handmade Persian Rugs! The art of carpet weaving existed in Iran in ancient times, according to evidence such as the 2500-year-old Pazyryk carpet, dating back to 500 B.C., during the Achaemenid period.The first documented evidence on the existence of Persian carpets came from Chinese texts dating back to the Sassanid period. This art underwent many changes in various eras of the Iranian history to an extent that it passed an upward trend before the Islamic era until the Mongol invasion of Iran. After the invasion, the art began to grow again during the Timurid and Ilkhanid dynasties. In a unique archaeological excavation in 1949, the exceptional Pazyryk carpet was discovered among the ices of Pazyryk Valley, in Altai Mountains in Siberia. The carpet was found in the grave of a Scythian prince. Radiocarbon testing indicated that the Pazyryk carpet was woven in the 5th century BC.This carpet is 283 by 200 cm (approximately 9.3 by 6.5 ft) and has 36 symmetrical knots per cm� (232 per inch�). The advanced weaving technique used in the Pazyryk carpet indicates a long history of evolution and experience in this art. Pazyryk carpet is considered as the oldest carpet in the world. Its central field is a deep red color and it has two wide borders, one depicting deer and the other Persian horseman. By the sixth century, Persian carpets of wool or silk were renowned in court circles throughout the region. The Bah�rest�n (spring) carpet of Khosrow I was made for the main audience hall of the Sasanians imperial Palace at Ctesiphon in Sasanian province of Khv�rvar�n (nowadays Iraq). It was 450 feet (140 m) long and 90 feet (27 m) wide and depicted a formal garden. In 7th century CE With occupation of the Sasanian capital, Tuspawn, the Baharestan carpet was taken by the Arabs, cut into small fragments and divided among the victorious soldiers as booty. The earliest surviving of the Persian carpets from this period is of a Safavid (1501�1736) carpet known as the Ardabil Carpet, currently in V&A Museum in London. This most famous of Persian carpets has been the subject of endless copies ranging in size from small carpets to full scale carpets. There is an 'Ardabil' at 10 Downing Street and even Hitler had an 'Ardabil' in his office in Berlin. The carpets are woven in 1539-40 according to the dated inscriptions. The foundation is of silk and the pile of wool with a knot density at 300-350 knots per square inch ( 470-540.000 knots per square metres). The size of the carpets are 34� feet by 17� feet ( 10,5 metres � 5,3 metres). Los Angeles County Museum of Art See also Victoria & Albert Museum. Although carpet production is now mostly mechanized, traditional hand woven carpets are still widely found all around the world, and usually have higher prices than their machine woven counterparts due to them being an artistic presentation. Iran exported $517 million worth of hand woven carpets in 2002. Iran's carpet exports amounted to US$635 million in 2005, according to the figures from the state-owned Iran Carpet Company. Most are top-notch hand-woven products. In October 2007, National Iranian Carpet Center revealed that hand-woven carpets have ranked first in country's non-oil exports and hold the third position among overall exports. Nearly five million workers are engaged in the Iranian carpet industry, making it one of the biggest enterprises in the country. In recent times Iranian carpets have come under fierce competition from other countries producing fakes of the original Iranian designs as well as genuine cheaper substitutes. Most of the problems facing this traditional art is due to absence of patenting and branding the products as well as reduced quality of raw materials in the local market and the consistent loss of original design patterns. The absence of modern R&D, is causing rapid decline in the size as well as market value of this art. To give one example, the "Carpet of Wonder" in the Sultan Qaboos Grand Mosque in Muscat in the Sultanate of Oman measures 4343 square metres. Its construction required four years of labor by 600 workers, resulting in 12 million man hours of work.